On the southeast side of the Peninsula Malaysia is an archipelago of 64 islands out of which Tioman Island is the largest (about 350sq-km). Other famous islands in this region: Pulau Seri Bulat, Pulau Sembilang, Pulau Tulai, Chebeh, Pulau Labas and Pulau Renggis. Tioman is situated about 60 km from the coast in the state of Pahang and was used once to shoot the reality show Survivor. 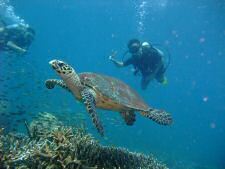 There are 3 ways to reach Tioman Island: by land (and sea), sea and air. Berjaya Air (from the famous and luxurious Berjaya Hotel chain) brings you in about 60 minutes from Subang Airport in Kuala Lumpur to Tioman for a bit more than 200Rm one way. A bus or taxi ride will take you in about 4 to 6 hours from Kuala Lumpur to the fishing village of Mersing. You can also hire a rental car and rive yourself to Mersing. However there is no drop-off point there for your car, so you will be paying a rental car to be just parked during your stay on the island: quite a waste of money. Boats on the Mersing jetty will take you to your final destination. 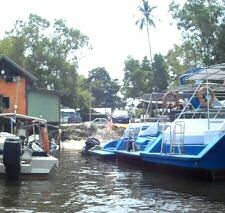 The boatride from Mersing to Tioman will take at least one hour: be prepared to wait until boats are full before they depart or make sure you arrange a private pick up from your hotel. 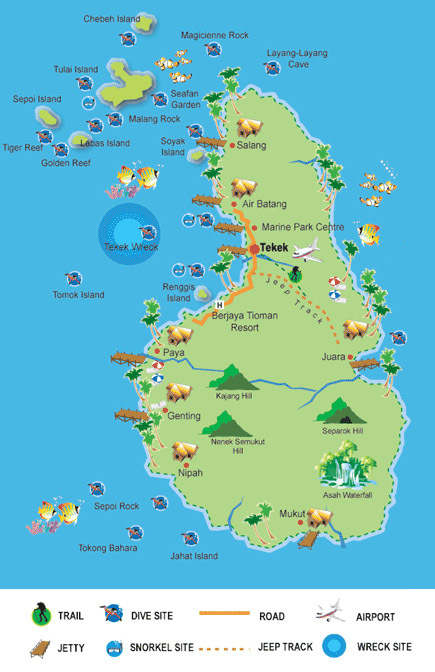 Tioman island map with diving sites, hiking trails, beaches and hills, snorkel sites, jetties, airport, jeep tracks and 1 wreck site. The Mersing jetty looks quite crappy and around the jetty are quite a number of your typical souvenirs shops. Most likely you wont venture into the village itself that does have more than 20.000 inhabitants. Although the interior of the island is jungle area, the edge of the island is densely populated and houses all the resorts. The islands of Tioman and nearby Perhentian and Redang are known as a diving and snorkeling paradise, although the spots they will bring you are sometimes a bit too touristy. The better beaches are: Genting Beach, Tekek Beach and Salang Beach. The easiest way to travel from one place to the other in Tioman is jumping on the ferry or renting a more expensive water taxi. Hiking is also a possibility as well as renting a jeep. when the weather conditions permit. As usual, avoid local Malaysian holidays, school holidays and the national holidays in neighboring country Singapore as well.